Kitchen floors usually get the most traffic and accidents happen. 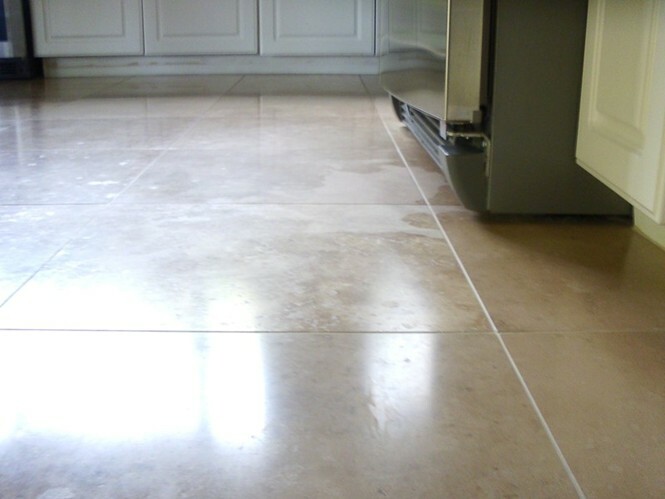 As stone restoration professionals, ASR always evaluates floors in front of the refrigerator first. More than likely someone spilled an acid based drink or solution on the floor. 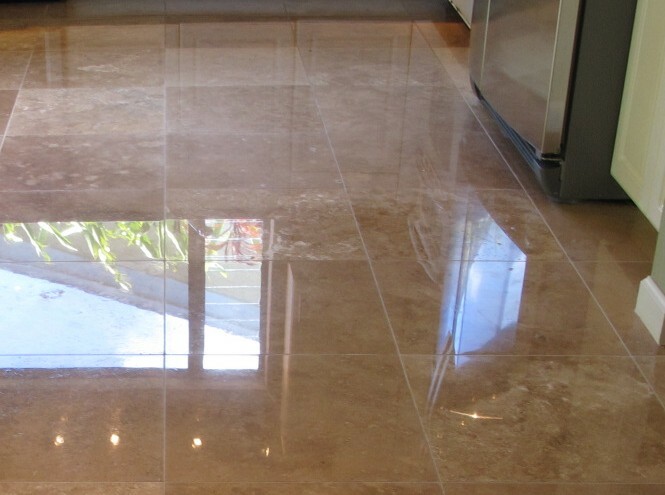 For calcite based floors, whether sealed or not, etching occurs when the acid reacts to the calcium in the travertine. Here are photos of a large etch mark and after the floor has been resurfaced & polished professionally. If your natural stone surface has etch marks and you need them to be removed professionally, don't hesitate to call us at 292-1266.